"The Assassination of Gianni Versace" proves its subject worthy of a season-long analysis, but this "American Crime Story" isn't what you think. Virtually everything about the lengthy title “The Assassination of Gianni Versace: American Crime Story” is misleading. For one, it’s less of a crime story — in the “Law & Order,” cops and courtrooms sense — than a biography of Andrew Cunanan, the man who murdered at least five people over a three-month span in 1997. One of those people was iconic fashion designer Gianni Versace, but his relevance to Cunanan’s life, and thus the series overall, is largely symbolic — he’s the American dream, and he’s still damaged. To the show’s credit, these shifts aren’t problematic or even the most jarring twist on Season 1’s “The People vs. O.J. Simpson.” “Versace” is told in flashforward; it starts with Versace’s death and then works its way back in time through Cunanan’s other homicides and even into his childhood. This structural choice never delivers the emotional impact one would hope and does lead to some unnecessary repetition, but it’s a bold choice that should keep viewers on their toes. Sometimes the new season feels as deceptive as its title: a sequel in name-only that doesn’t live up to its predecessor’s accomplishments despite similarly lofty ambitions. Written predominantly by Tom Rob Smith, the “London Spy” creator who was not part of “The People vs. O.J. Simpson,” the follow-up season is a very different tale. But just when you start to drift away, “Versace” tightens the tether; be it a few moving performances or subtle scenes that carefully convey greater meaning, there’s enough here to warrant attention — be it for a Versace story or not. Given the set-up, Versace’s death is the climax of Cunanan’s life, so the series has to work a bit to bring Versace’s narrative back into the mix as it starts working back through the killer’s past. 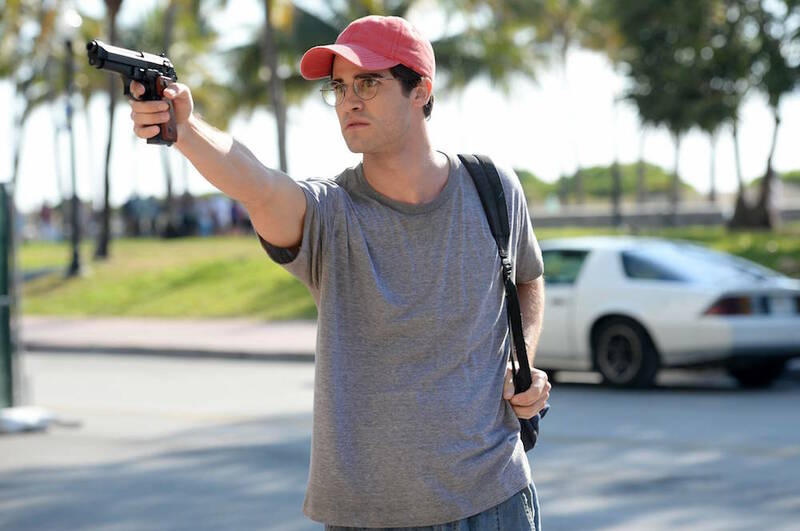 Though the first two episodes are largely dedicated to Cunanan’s time in South Beach and his not-so-chance first encounter with Versace, each episode is dedicated to a new victim. Episode 3, “A Random Killing,” travels to Chicago to get to know closeted real estate tycoon Lee Miglin. Episode 4, “House by the Lake,” moves to Minneapolis to meet architect David Madson. Episode 5, “Don’t Ask Don’t Tell,” is the best of the lot, as it delves into a naval story focused on Jeffrey Trail. Within these hours, the story often strays from Cunanan’s viewpoint as it digs further and further into each new character. That gives “Versace” a looser, more haphazard feeling than “O.J.,” but it’s far from a mistake with performances like the ones Cody Fern (as David) and Finn Wittrock (as Jeffrey) provide. They, along with a briefly seen Max Greenfield, are the highlights, though they don’t exactly top the cast list. 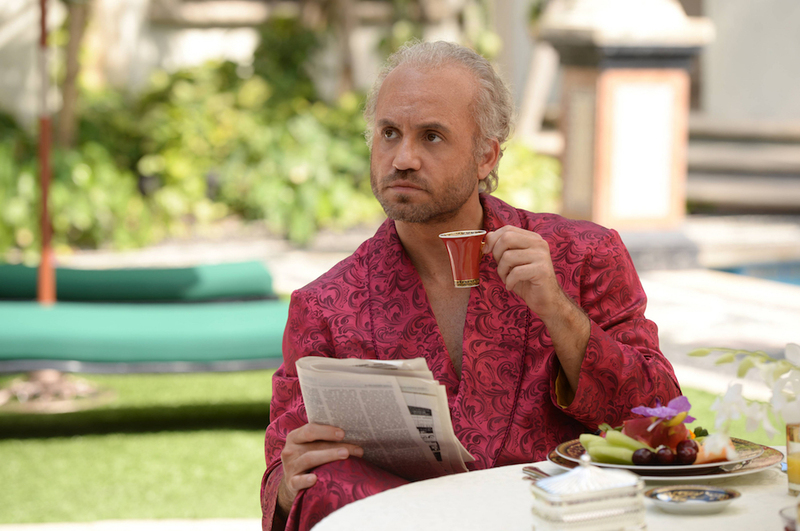 Edgar Ramirez makes for a commanding Versace, exuding confidence in a largely quiet depiction, and yet his understated turn doesn’t undermine later scenes where Gianni is scared. Cruz’s presentation of his sister, Donatella, is less consistent, less lived-in, but still gripping. That being said, the most perplexing aspect of Donatella and Gianni has nothing to do with their actors’ respective choices; it’s that producer Ryan Murphy chose to cast two Italian characters steeped in Italian heritage and surrounded by Italian decor with two Hispanic actors. Onscreen, the most cumbersome entry is Darren Criss’ take on Cunanan. Wide-eyed and speaking with the high-pitched voice of a liar, Criss is asked to carry the series, but he only has so many weapons in his arsenal. His stare dulls and his voice grates. Rather than develop over time, it’s as if Criss figured out who Cunanan was from the get-go and stuck with it. There’s little difference between the high school outcast in Episode 7 and the gun-toting murderer from the premiere. Such regularity plays into the deadened serial killer stereotype “Versace” should be trying to avoid. (It also doesn’t help alleviate any concerns over another stereotype: associating homosexuality with insanity.) And it’s not even that Criss is bad; he has moments of raw power, he just doesn’t elevate the material the way Sarah Paulson, Sterling K. Brown, and David Schwimmer did for “The People vs. O.J. Simpson.” Such comparisons only hurt “Versace,” but if you can avoid them and take it in as not only a new chapter, but a new book, then this new “Crime Story” should satisfy. “American Crime Story: The Assassination of Gianni Versace” premieres Wednesday, January 17 at 10 p.m. ET on FX.